I watch almost every singing show on TV for some reason and that includes the The Sing Off. I don’t know why I like singing shows or acapella music as much as I do but last night’s finale was entertaining and included some pretty impressive performances. Last year, Pentatonix was far and away the best group and stole the show. 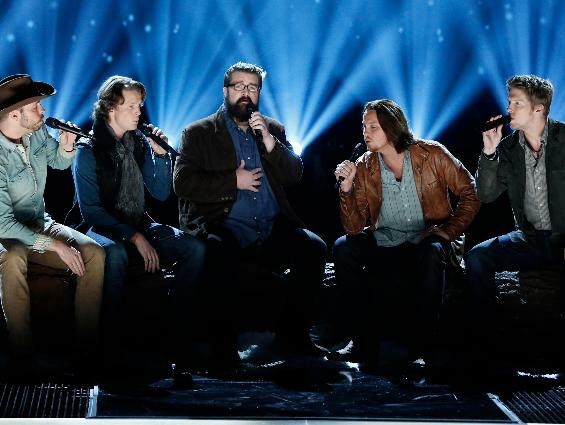 This year, Home Free, one of the first country acapella groups, did the same. From the beginning they were clearly the best group and to no one’s surprise they won the grand prize last night. The highlight of the finale had to be their performance of “Merry Little Christmas” with Jewel, which blended their styles perfectly. Based on the YouTube count of these videos, I might be the only one who watched this show. Either way, my favorite performance of the entire competition was Home Free’s take on Ring of Fire. Pentatonix has gone on to pretty great success since The Sing Off and there are a lot of similarities between the two most recent winners. I expect Home Free to be successful as well but in order to ensure their success, they should focus on building up their YouTube presence – something Pentatonix has done perfectly. Pentatonix’s latest video, a tribute to Daft Punk, has over 30 million views. Both of these groups are very talented and it will be interesting to see what each of them come up with in the future. If they decide to tour together, I would at least think about getting tickets (maybe).